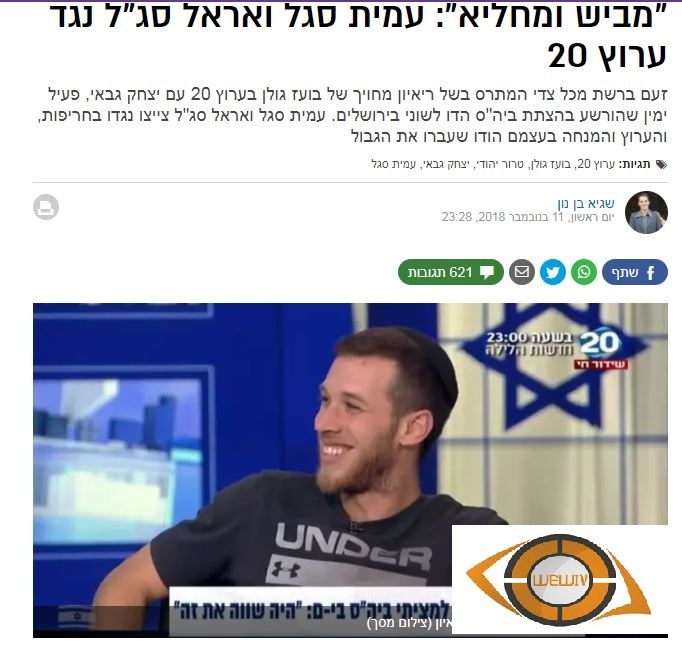 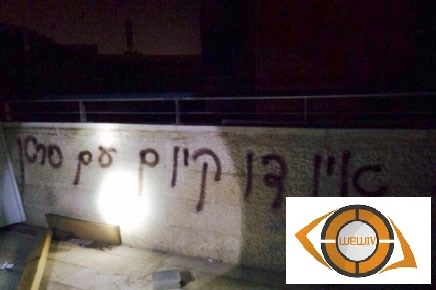 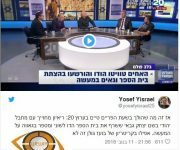 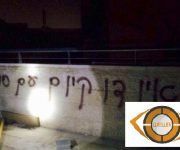 Israeli “Channel 20” hosted a terrorist, a member of “Lahavia” extremist organization, Yetshaq Gabai, who burned a bi-lingual school in Jerusalem in 2014. 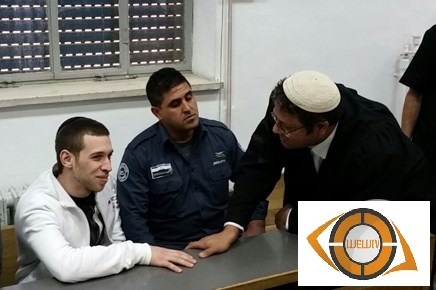 He contemptuously talked about his practice and said “I may support learning Arabic language for the standpoint of knowing your enemy, but what I did is important to raise awareness among the public”. 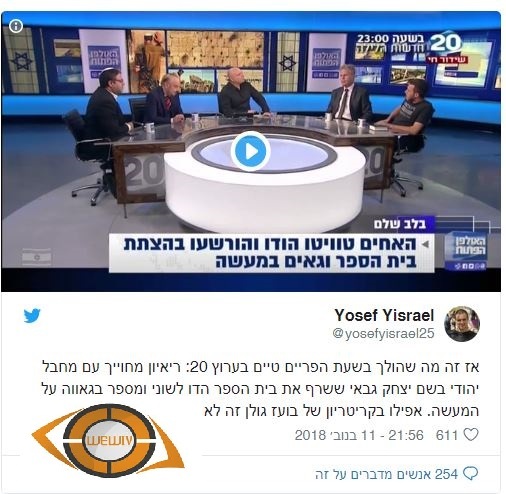 During the same meeting, the aforementioned channel also hosted the terrorist “Itmar Bin Javir” who addressed Gabai and said “I stand behind you”.